I love working with brides!! One of the services that I offer are Beauty Events. Do something fun & different with your best girls! There are many different events to choose from and you get lots of free goodies. Let me help everyone get ready for the big day! Grab your friends and let’s make a night of it. 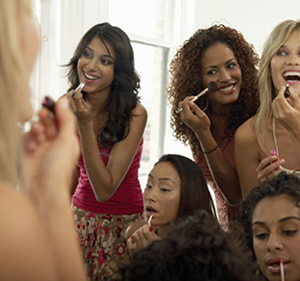 Our celeb-loved cosmetic beauty events are the perfect place for updating a new look, learning how to apply your makeup effortlessly, or simply just to shop our hottest and newest colors. We will share the latest tips and tricks on, how to mix and match colors and, how to apply them with ease, while allowing you and your friends to shop at a discount for the evening. 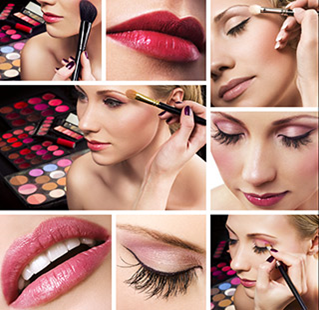 Have fun and be sociable with your friends while trying out the hottest new colors from Motives cosmetics. It’s the ultimate personal shopping experience. You only need to invite your friends and we will do the rest. We will even provide you with the chic invitations. All rewards can be used by the organizer or transferred to the bride. Feel free to contact me if you would like to start planning your own event.